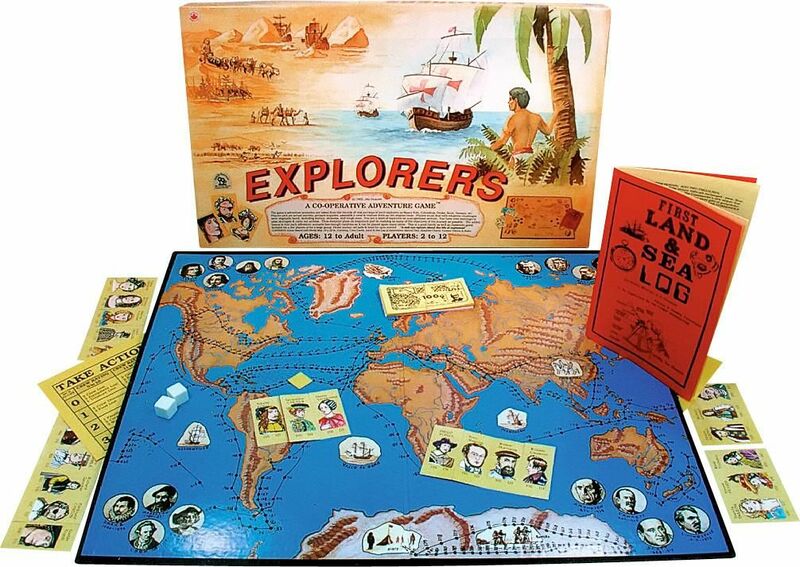 2 to 12 players, Ages 12 to Adult The adventure scenarios in this game are the actual journeys of such explorers as Marco Polo, Nansen, Scott, Drake, Cook, and many more. Players pick a journey, prepare, assemble crews, and venture forth. They make the trip together, each handling different aspects of the expedition. Lots of adventure, and an educational eye-opener about the life of explorers. A good family and classroom game. 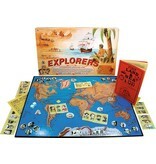 Includes: 18 x 22″ world map board, dice, land and sea log of adventures, money, crew cards, assorted charts.